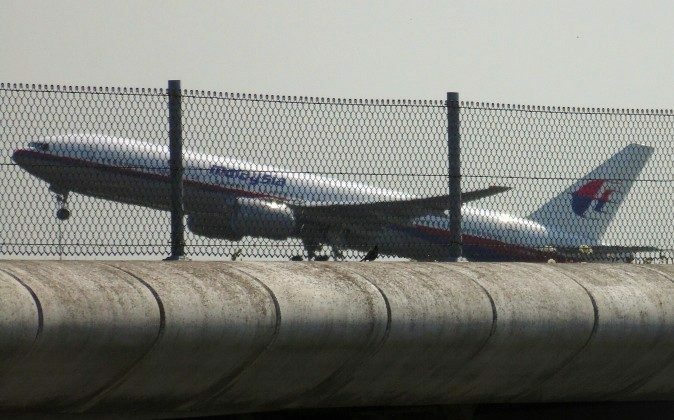 Two passengers aboard the doomed Malaysia Airlines flight MH17 have been identified. Glenn Thomas and Joep Lange were heading to an international AIDS conference in Australia, and were on the plane. Joep Lange is leading clinical researcher from the Netherlands, and a former president of the International AIDS Society. Seema Yasim, a doctor based in the United States, claims to have went to medical school with Lange, and tweeted out a series of tributes to him. Glenn Thomas is the friend of Haileyesus Getahun, a World Health Organization Global TB programme coordinator. The first British passenger who boarded MH17 to be identified, Thomas comes from Blackpool, previously worked at the UN and the WHO headquarters in Geneva, and is also a former BBC journalist. Thomas, 49, has a twin sister, Tracey, who still lives in Blackpool. Getahun and a number of Thomas’ friends tweeted out their sorrow and memories of him. SYDNEY (AP) — Several passengers on board a Malaysian jetliner shot down over Ukraine were heading to an international AIDS conference in Australia, officials said Friday. “A number of people” on board the Boeing 777 were en route to the southern Australian city of Melbourne to attend the 20th International AIDS conference, which starts Sunday, Australian Foreign Affairs Minister Julie Bishop told reporters in Brisbane. The plane, which was flying from Amsterdam to Kuala Lumpur, Malaysia, crashed Thursday with 298 people on board. American intelligence authorities believe a surface-to-air missile brought the aircraft down but it was not yet clear who fired the missile. The International AIDS Society issued a statement expressing its grief over the news that several of its colleagues and friends were on board. “At this incredibly sad and sensitive time the IAS stands with our international family and sends condolences to the loved ones of those who have been lost to this tragedy,” the group said. At least 27 Australians were confirmed to be on board the plane, which was scheduled to continue flying to the western Australian city of Perth after stopping in Kuala Lumpur, Bishop said. Former U.S. President Bill Clinton will deliver an address at next week’s AIDS conference, which brings together thousands of scientists and activists from around the world to discuss the latest developments in HIV and AIDS research.